To put it simply, this is a roti that has a sweet stuffing. I make it diabetic friendly but make sure its laden with crushed dry fruits such that it enhances the flavours. The recipe here however has been made the traditional way with toovar dal and jaggery, you could substitute the jaggery with sugar. Knead flour with a pinch of salt using just enough cold water. Knead in the oil once the dough has been brought together. 2 tablespoons of masala milk powder or a mix of cardamom powder, nutmeg powder, mace powder, cinnamon powder, saffron strands, pista and almonds. Pressure cook the dal with just enough water. For 1 cup of dal you should use 1½ cups of water. Once cooked, drain of all the excess water and mash the dal lightly using a masher or back of a spoon. Mix in the jaggery / sugar / sugar substitute at this point. Make sure the jaggery or sugar is very fine, You could run it through a grinder to get the right consistency. Once mixed add the masala milk powder. Divide into 15 equal portions. Keep aside. 1. 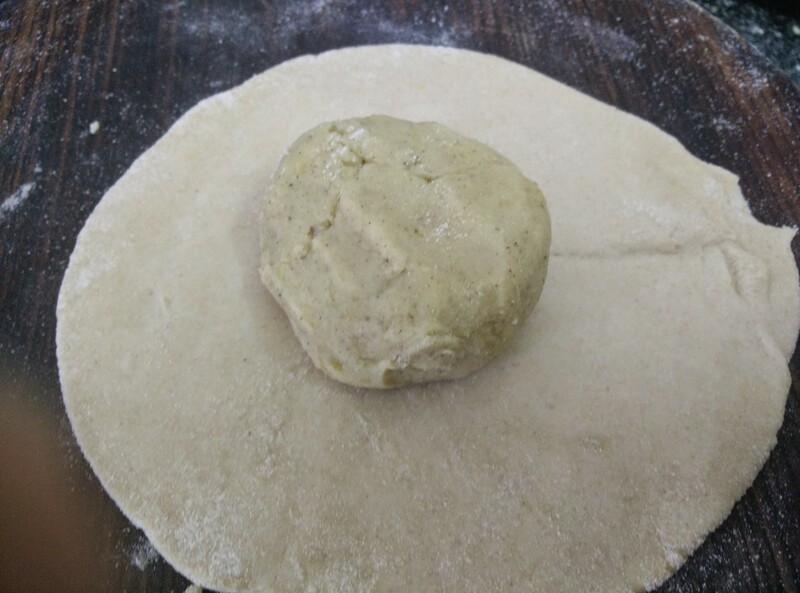 Roll out two portions of the dough into a 3-inch roti. 2. 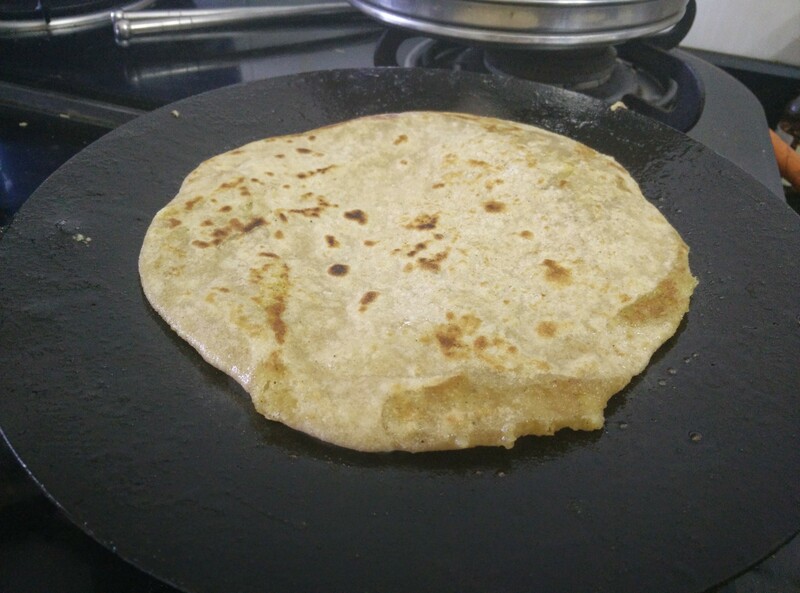 Place a portion of the filling in the centre of one roti and place the second roti on it. Flatten the filling so that it has spread evenly. Pinch the edges together to seal the filling in. 3. Flatten the stuffed roti by hand and roll it out again into a 6 to 7-inch roti. Make sure you use enough wheat flour at the bottom whilst rolling the roti, to ensure it does not stick to the rolling-pin. 5. 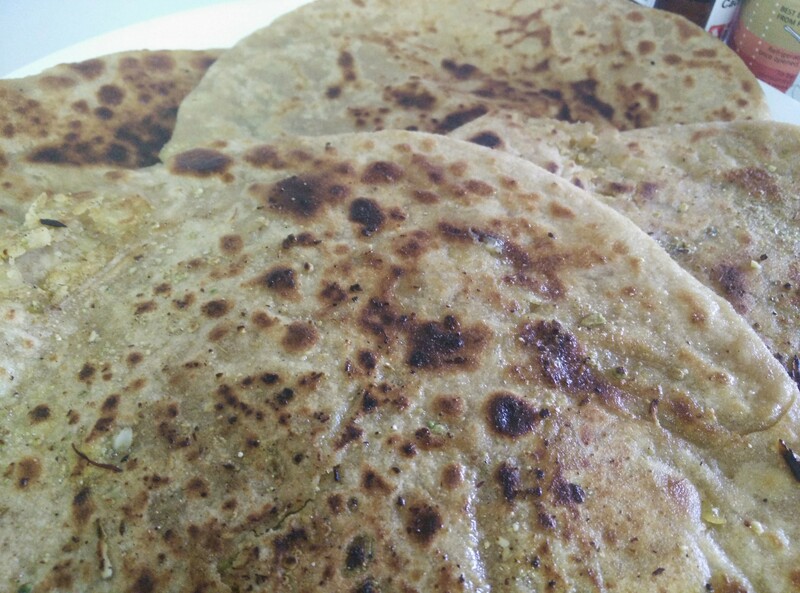 Cook the roti on a tava (griddle) over a medium flame till it turns golden brown in colour on both the sides. Add a teaspoon of ghee and cook further. 6. Serve with a drop of pure ghee.